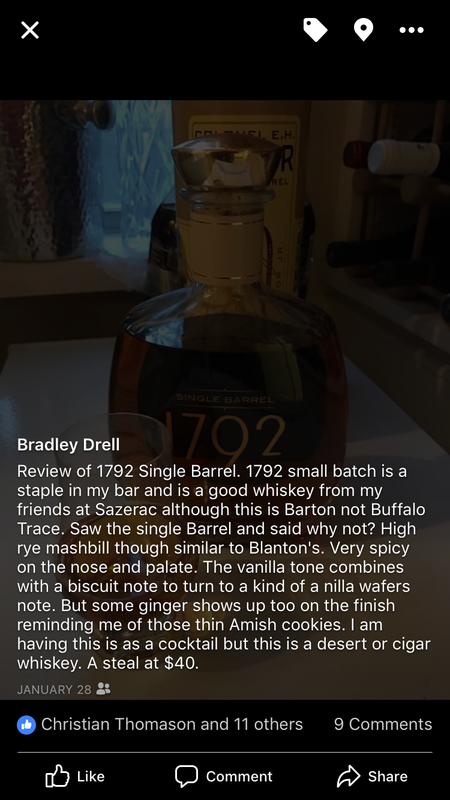 I had a conversation with a friend recently about wheated versus rye recipe bourbons yesterday in the context of gift giving. If you are going to plunk down a lot of bucks for a really nice bottle, you want some assurance that they will like it. Scotch and bourbon have such diverse taste profiles that it is hard to know what a particular person might like. My advice to my friend was to see if the proposed recipient of a bottle of Van Winkle liked Weller before buying the Van Winkle. A bottle of Stagg, Senior or Junior, Eagle Rare or Blanton’s might be a better fit for someone who drinks Old Charter and Buffalo Trace, then would a bottle of Pappy. But, even among wheated bourbons there is great diversity. I am not a big fan of Larceny or Old Fitzgerald but I Love Love Love Weller in all it’s iterations including Pappy. When I mean I say I love Weller, I have been drinking it for 28 years since I started college. Rebel Yell used to be really cheap Weller but now it is something else entirely. 1792 Barton is also owned by Sazerac, who owns Buffalo Trace. The 1792 line of bourbons is the top of the line for that distillery. 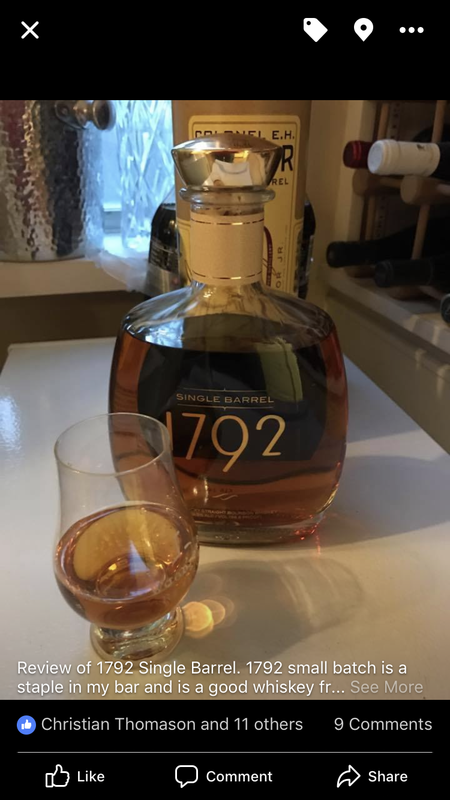 The 1792 Single Barrel and Full Proof are excellent and must buys when you can find them. Oh and their television ad is really cool. So, for more than a year now I have been trying to hunt down some 1792 Sweet Wheat. I asked for some at the distillery in April and they had none. But Hokus came through for me and got me a bottle recently. At just over 90 Proof, this bourbon had some heft to it. Pale copper in color; this whiskey was bottled young in comparison to Weller bourbons. Really amazing nose. The palate is sweet with a barley bread finish. One thing I will say is that you really taste the grains that are in it. On the other hand, it is a lot like Larceny and Old Fitz but without the peanut after taste. 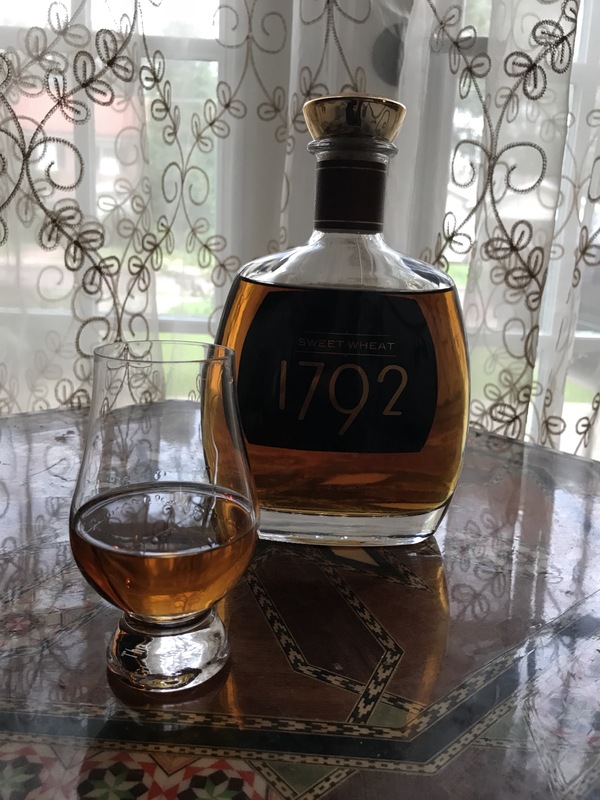 I almost want to say there is a Bardstown style of wheated bourbon presently, I would say 1792 Sweet Wheat is the best of that style I have tried. But two more years in the barrel would probably work wonders for this bourbon. A little oak would go a long way. Definitely sip this one neat. The flavors are subtle and would get lost in a cocktail.